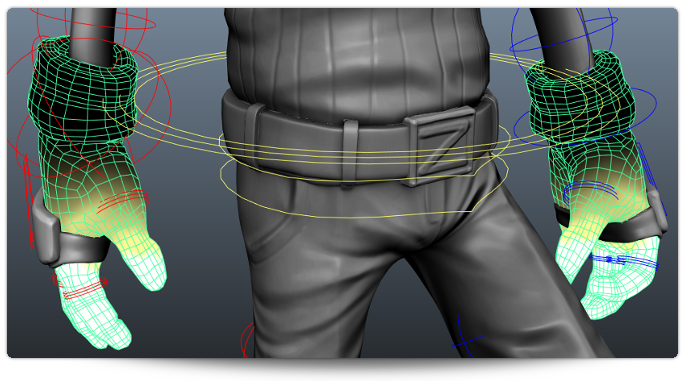 ngSkinTools is a skinning plugin for Autodesk Maya, introducing new concepts to character skinning such as layers, any-pose-mirroring, enhanced paint brushes, true smoothing, and more. There's no magic bullet for perfect skin weights. all the necessary tools for precision. Layers - a proven technique in image editing software, this time - for painting skin weights. Forget influence locking and weights micro-managing techniques - go wild with layers, start dirty, experiment, refine later - it's meant to be a creative process! Going to T-pose to mirror weights is tedious, so is painting weights just on one side to mirror to the other. 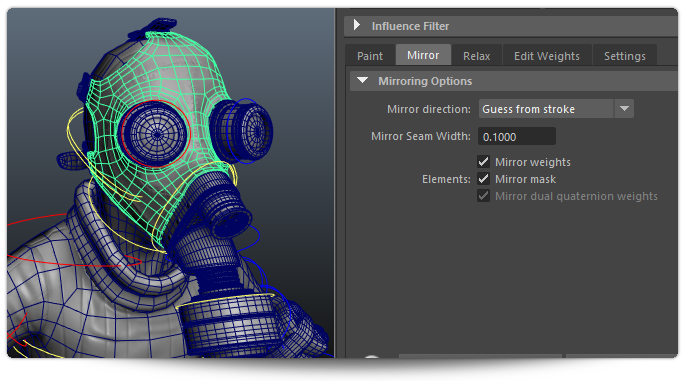 No longer required: mirror weights in any pose, and ngSkinTools will automatically detect if it's right-to-left or left-to-right operation. 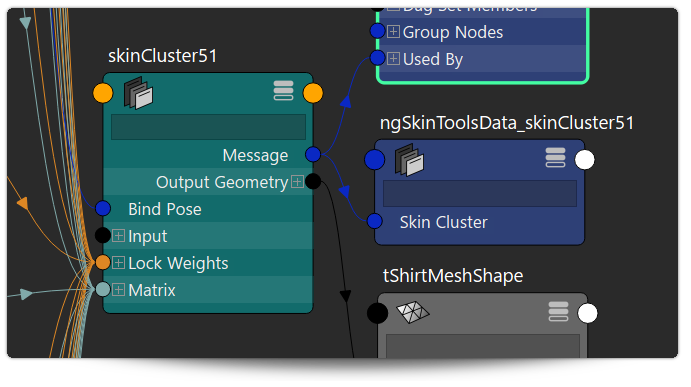 ngSkinTools operate on standard Maya's skinCluster (also known as "smooth skin"), so no custom nodes will be required to use your rig. 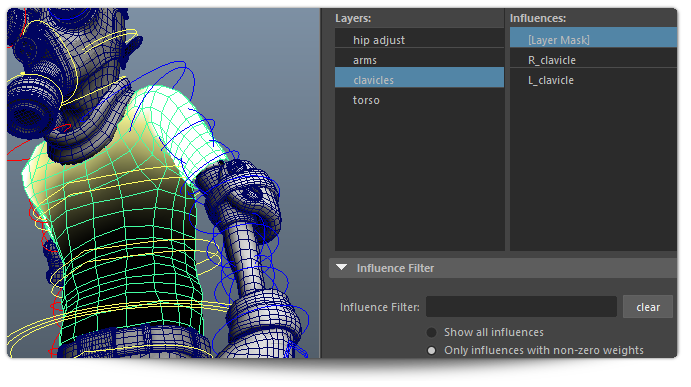 Just remove custom ngSkinTools nodes and hand over the file to your animators, or export to game engine.